All of us wear pants and all of us have our favorite pair that is worn on daily basis, right? What’s life like outside of your skinny pair of jeans and that distressed boyfriend denim that you wear literally every day? 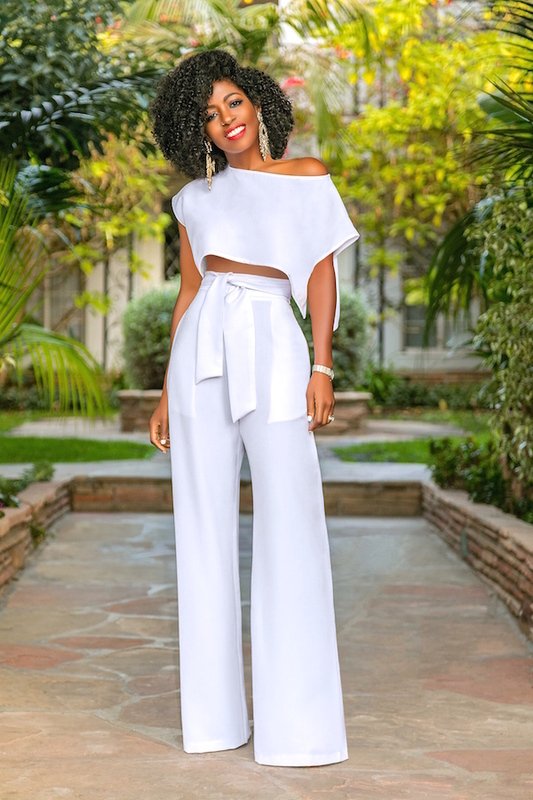 With the dizzying array of pants styles available out there for both women, gone are the days when women wore only skirts or traditional outfits. So navigate those cloth racks girl! And get the best style available for you. Here are a few wardrobe staples that you have-to-have. This trend is a godsend, as so many of us have those thick thighs to deal with. Plus, the bottoms are actually super fun to walk in. they are one of the most versatile things that you might own, they go with literally everything. Those wide-leg jeans certainly don't hurt if you're looking to lengthen those legs. Get these on whenever you feel like looking like a supermodel. Wear them with close fitted top to highlight those curves or maybe with drop-sleeved camisoles or cropped tops. Nothing looks better than a pair of culottes styled with a pair of strappy heels, or for an edgy look, treat yourself with a pair of gladiator sandals. Suitable for all situations, you can easily transform yourself by just swapping out your top with a cropped or off-shoulder top or even with sleeveless one. This pair is a no-brainer because you can wear them for day or evening, and they go with everything in your closet, a blessing in disguise, isn’t it? Search for a pair that fits you in all the right places. You'll be super-glad to get this one. Do you really have to convince yourself that having a pair of loose, comfortable jeans in your wardrobe is a good idea? NO, obviously. This one is a must! Get your pair of vintage Levi's and rock your fashion game. A neutral colour and a not-too-tight fit pair of ankle length pants are what keeps these must-haves at the top of our shopping lists. Elongate your legs by pairing your flattering straight cut pants with any shoes from ankle boots to sky-high stilettos. They can be paired with almost every kind of top. Why should your tops and dresses have all the fun? Always keep a pair of printed or patterned pants in your closet to experiment with different patterns and to give your look a last-minute jazz-up. Everything old is new again, right? Really embrace your non-jean choice by going for a bold pattern. It is a statement that will give your wardrobe a fresh twist. A pair of leather pants add an instant boost of texture and create subtle pop. Plus, they make you feel like a rockstar. What else would one want? A high, belted waist is a subtle nod-to-the-trend without being overdone/underdone. Plus, they are a pair of easy-breezy pants that that t-shirt from casual to super-cool. Boom, you’re done. The most versatile of all bottoms. It can be paired with almost anything and everything. The ultimate win, truly. There are so many pairs of leggings that almost all of us own from the ones that you wear when you get home, and then there are the ones you can actually wear in public. If you're conscious of being seen in them, pair them with tall boots and a knee-grazing coat and you'll be comfy yet stylish. Go for a pair with a slightly slimmer leg step up the game of these pants by styling it with a pair of strappy stilettos. Finish your look with a shirt for more formal settings, or a plain white t-shirt for some serious model-off-duty vibes. Don’t forget to complete your look with oversized shades. Previous article 5 Ways To Know You’re Each Other’s LOBSTER! 5 Ways To Know You’re Each Other’s LOBSTER!